Part of the new young print designers of the 2000s, Aino-Maija Metsola brought a new injection of Marimekko classics to the company. The Mynsteri, which means the pattern for making bobbin lace, was originally painted with gouache on coloured paper. 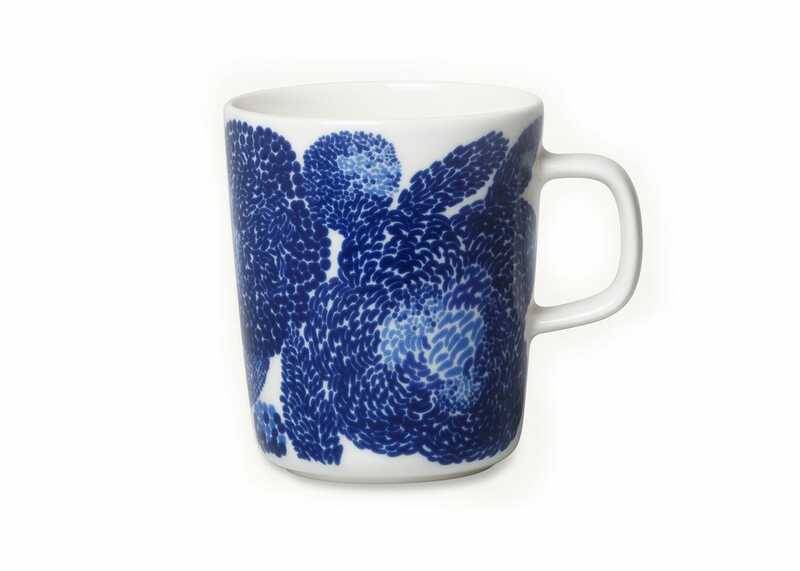 This mug in particular features the intricate lace-like flowers in white stoneware, making it incredibly durable as well as dishwasher and microwave safe.